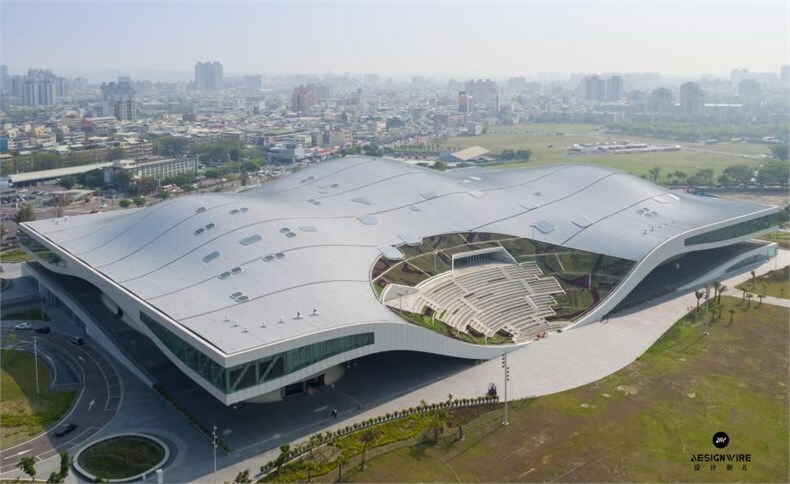 The National Kaohsiung Center for the Arts contains the first dedicated national opera house to be built in Taiwan and is the world’s largest performing arts centre under one roof. 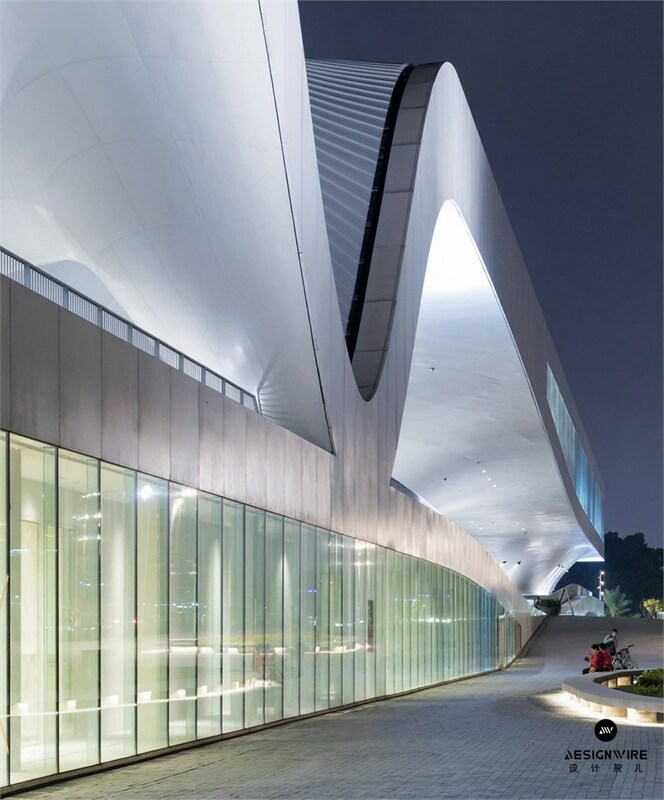 Designed by Dutch architecture practice Mecanoo, the long low building measures 225m long and 160m wide and is known locally as Weiwuying, after its location in a metropolitan park that was formerly a military base. Mecanoo, the Dutch architecture practice whose repertoire includes the Library of Birmingham, the train station of Delft, and the ongoing renovation of New York Public Library, worked on a design that was specific to the context of Taiwan, taking design cues from the city’s maritime past and the form of the locally grown Banyan plant. Houben designed ‘Banyan Plaza’ as the entry point to the new building, which is inspired by the shape of the tree’s billowing aerial roots and thick horizonatal crowns. 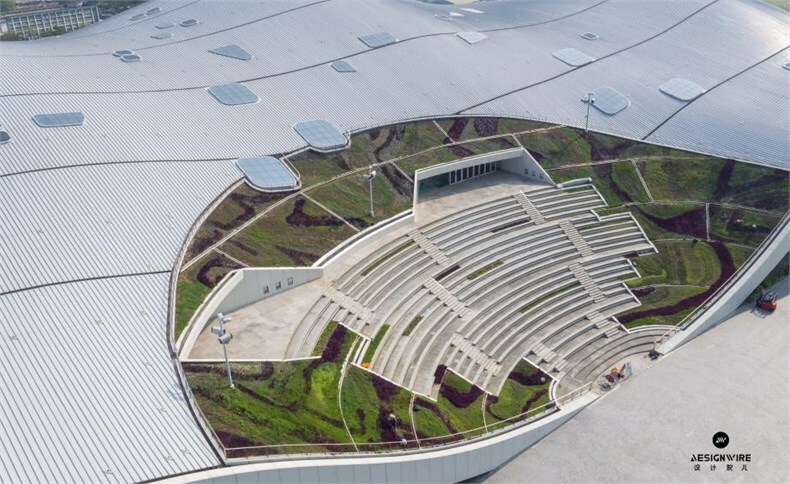 Occupying the entire footprint of the building, the covered plaza flows with the surrounding landscape. It blurs the boundary between outdoors and in, connecting the park with the auditoriums inside. 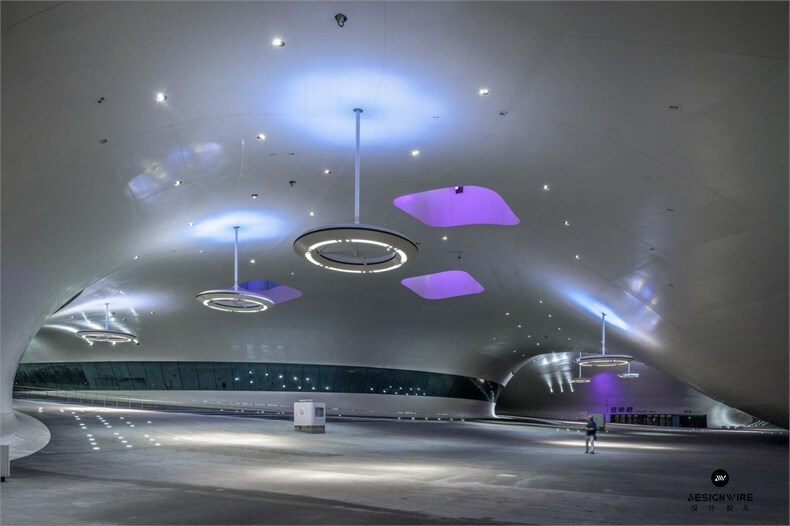 The flooring has a polyurethane resin finish, resilient and suited to a variety of uses – impromptu performances, tai chi sessions, picnics, perhaps a children’s game of hide and seek – while the underside of the canopy is clad in 1,520 tonnes of steel plates, 6mm-thick and individually curved. 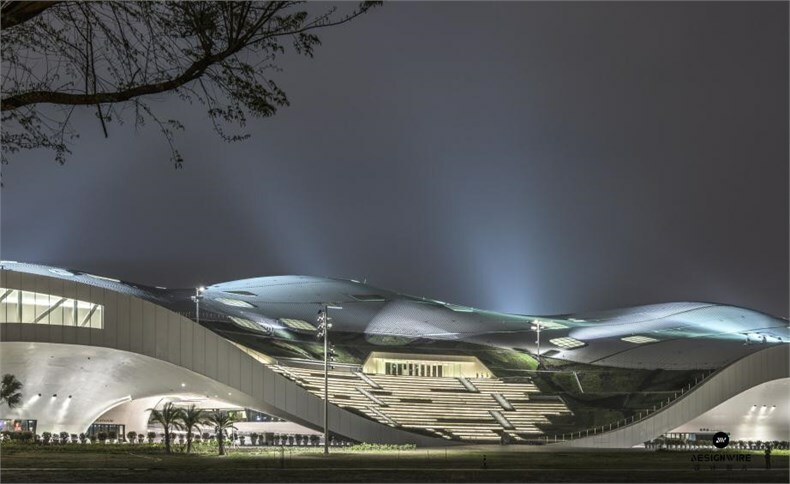 For the exterior, Mecanoo worked with local builders in Kaohsiung’s shipyards to pre-fabricate steel plates that were then deformed with a giant press and assembled into modules. These were then hung from the main structure using steel rods and heavy springs and the welds kept visible so the building would resemble a cargo ship. 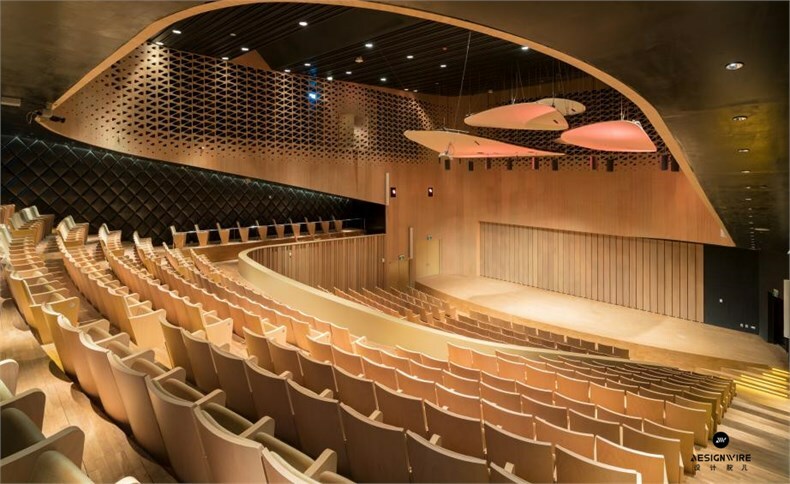 The auditoriums include an opera house, a play house, concert hall and a recital hall, each with its own distinctive identity. 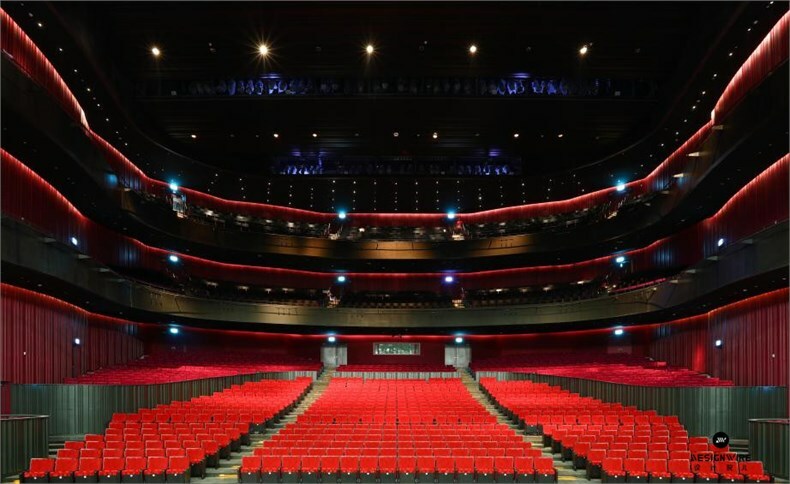 With 2,260 seats, and positioned at the centre of the building, the opera house is the biggest of the four spaces, with an appropriately grand colour scheme of red and black with a horseshoe layout. 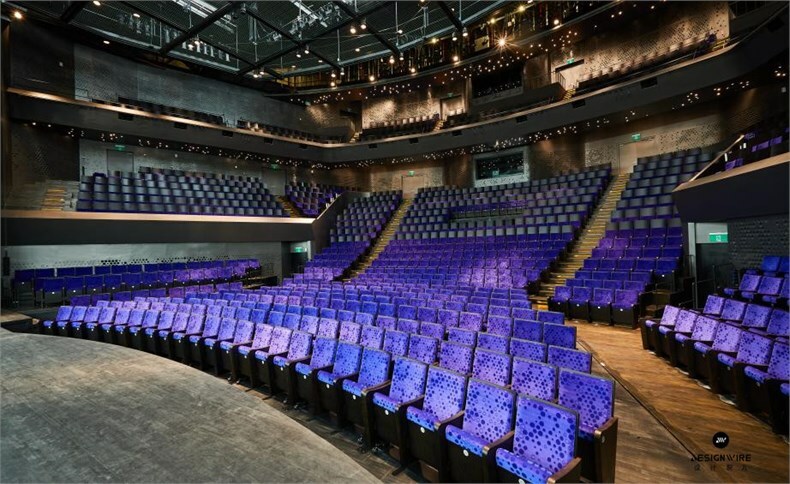 A more intimate ambiance is offered at the playhouse (1,243 seats, for experimental theatre and Chinese opera) and recital hall (470 seats).